While supply chain 4.0 brings a number of benefits for manufacturers, the continual need to adapt to new technology can be daunting. 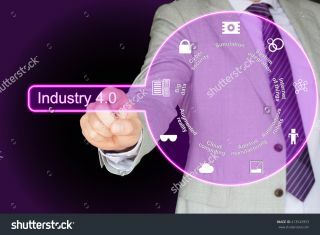 Supply Chain 4.0 as defined by McKinsey involves applying key IT innovations like the Internet of Things, advanced robotics, analytics, and big data, to elevate operational performance in the warehouse and in turn improve profit margins and customer satisfaction levels. As a WMS specialist working with a wide range of manufacturing companies in the UK and Asia, I have explored the relevance and appearance of this trend among leading SME manufacturers in particular. Although supply chain 4.0 brings many benefits, with new opportunities to expand or enhance business operations and trade globally, many manufacturers are also feeling challenged by the continual need to adapt to new technology and optimise processes. The transition to supply chain 4.0 brings with it a requirement for companies to operate supply chains that are more efficient, flexible, accurate, and capable of handling much greater levels of detailed information. But what are the key issues manufacturers are facing as a result of these changes? The rise of e-commerce has removed barriers to entry and created much greater levels of competition across all sectors of industry. Intensified competition has led to greatly increased customer service expectations and the pressure to offer the lowest possible prices and delivery costs is greater than ever. This means profit margins are gradually being eroded and the need for manufacturers to optimise their supply chains to focus on constantly improving margins whilst at the same time, growing sales turnover levels. In the past, companies might have focused on turnover believing that high sales will eventually translate into profits, but where price sensitivity is extremely high, it is margin that is the key metric. Linked to the expectation for improved service levels is an expectation for improved data and traceability. It’s no longer good enough to simply do a great job, customers today expect an audit trail. This means additional information to verify the provenance of goods if relevant and the reassurance they will be arriving on time and in full. The requirement for an audit trail goes far beyond typical lot trace capability. For example, within the food service sector, fresh produce has been identified and tagged for decades, but now, suppliers are also expected to provide end to end traceability. This would include verifying where an item originated, the conditions in which it was reared if relevant, plus whether additional nutrients or pesticides were used. The level of traceability expected also extends to verifying that any feeds or fertilizers used came from a sustainable and ethical source, or whether any organisations involved with the production process can also be verified for ethical and sustainable practices. For most businesses, the risks associated with any bad press surrounding a dubious supply chain mean that price is no longer the overriding factor when making purchases and sourcing materials. Customers today expect more choice. They want to be treated as individuals and want the choice of products available to them to reflect this. Whereas in the past, a more limited selection would have been acceptable, today the range of products manufacturers are required to offer is growing all the time, with custom options and inflated SKU portfolios. Added to this, the frequency with which they have to change has also increased. This creates an immediate practical problem, because although new lines can be added to the production line, the warehouse will not been set up to handle such a large SKU portfolio and is frequently not consulted when ranges are changing. This has a knock on effect for stock management, picking operations and order turnaround times. One way to overcome this is with the introduction of dynamic slotting to improve the efficiency of space utilisation. Order profiles have changed dramatically as a result of the rise in ecommerce. For manufacturers, this has multiple implications. It may create an opportunity to sell direct to the end consumer and improve margins by removing intermediaries. However manufacturing warehouses may not be optimised for handling high volume single item orders shipped to consumers, or a greater number of smaller orders shipped to retailers more frequently, which can imbalance the potential to increase margins with greater warehouse costs. Manufacturers need to be mindful of this and identify ways to improve their ability to be flexible and handle multiple order profiles, for example with the introduction of automated batch pick and sort processes. The vast volumes of data being generated right across the supply chain is creating a need for companies to have access to dashboards providing an immediate snapshot of operations based on what is most relevant for the warehouse management. Most companies today have more data than they can practically use to inform decision-making, and need a layer that sits above the data to highlight what’s really significant and needs acting upon. The lead times in supply chains are getting longer all the time. Goods are being sourced and made in many different regions worldwide which in turn, has made forecasting accuracy more critical to get right. The need for manufacturers and retailers to ensure product forecasts accurate as possible is an ever present challenge. By having an accurate forecast, companies can become more agile when sourcing raw materials for the lowest prices, they can benefit from the costs associated with longer shipping lead times whilst still meeting demand and ultimately keep inventory levels as low as possible, again minimising costs. Although Amazon may be trademarking the concept of predictive shipping, the idea behind the approach has been in operation with manufacturers for some time where it is part of daily business as usual. Over 80% of Indigo’s customers are using techniques similar to predictive shipping, which are based on forecast data, to plan production and shipping cycles and meet demand. To ensure consistency of product quality, there is clear evidence of quality checks and inbound process checking being conducted right across the supply chain at each stage. Manufacturers and brand owners are moving the onus for ensuring quality to their suppliers and putting systems in place to give them full visibility as inventory control and quality checks are being completed in a standardised way. This is happening in real time so that by the time goods leave the warehouse for the end customer a full audit trail is available. Accuracy is the single most important aspect of supply chain 4.0 to get right because the vast majority of warehouses are measured by their ability to get OTIF (on time in full) or OIFOT (order in full on time), with no margin for errors. Introducing automation into the warehouse is essential for cost reduction. Full automation may be on the horizon for larger manufacturers but the vast majority of companies are taking a partial approach. This ensures they can maintain greater levels of flexibility and also helps to reduce the level of capital expenditure required. Many of the efficiency and accuracy benefits that come with automation can still be seen when conveyors and cardex systems that have been integrated with a WMS, are added to control stock on a pickface.